Advanced sharing and synching tools which will automatically update photo versions online, non-destructive editing, automatic location and importing of new pictures, web albums, and cool things like video slide shows and photo collages. And there’s also a text feature which allows for creating cool titles and even retouching tools. All for free. 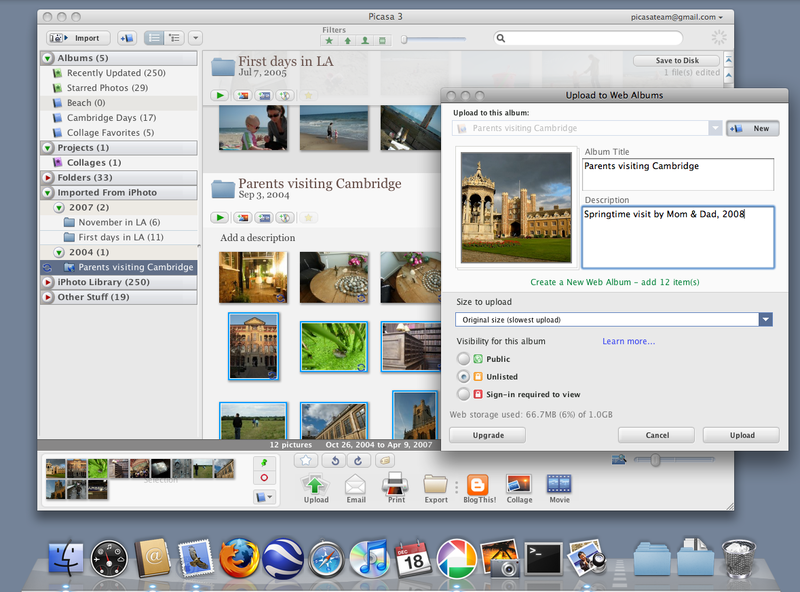 At $79 for the entire iLife suite, Macheads won’t be forgoing iPhoto 09 for Picasa (even though it’s FREE), but it still represents a brilliant application for those on a budget (then again, those on a budget can rarely afford a Mac, right?). For more information on Picasa 3, check out this video on youtube. >then again, those on a budget can rarely afford a Mac, right? Wrong! A lot of Mac users work to tight budgets just like everyone else, but recognise quality when they see it. Sometimes you have to spend a little more up front to save in the long run. It’s called Total Cost of Ownership.